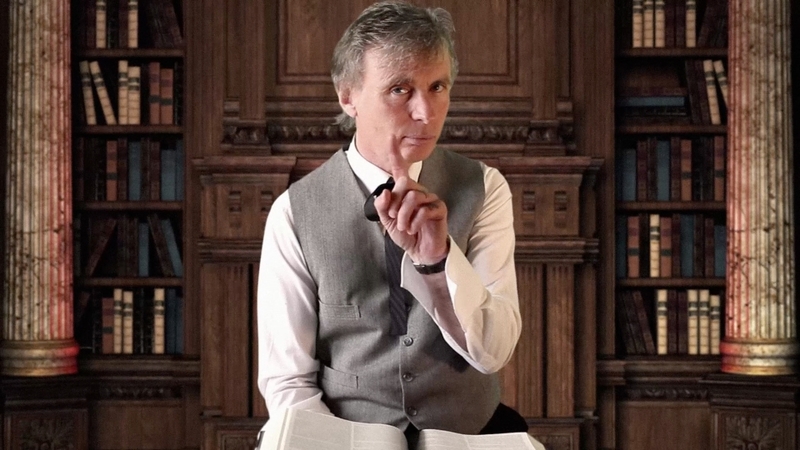 Los Angeles, CA – XTC fans worldwide are buzzing with excitement about the new video by Prog duo Days Between Stations featuring legendary Colin Moulding titled “The Man Who Died Two Times!” The song comes from the band’s critically acclaimed second album ‘In Extremis’. Planning for the video began last fall. In October, producer Heidi Hornbacher traveled to the UK to film Colin at his studio. In April, the group filmed the rest of the video in Los Angeles in a small theatre. There is also a behind the scenes video that shows a bit of the ‘making of’ the video as well as some conversation with Colin Moulding, Paul Whitehead, Heidi Hornbacher, and Days Between Stations’ Sepand Samzadeh and Oscar Frederico Fuentes Bills.